1967 Chevelle SS optional wheel opening stripe kit - Stencils And Stripes Unlimited Inc.
Left & Right front wheel opening stripe including front/rear fender stripes. Left & Right quarter panel wheel opening stripe including front/rear quarter panel stripes. We introduced this kit June 28th 1989. This kit is reproduced using original GM NOS stripes for artwork. The colors offered are either black or the correct off white vinly. 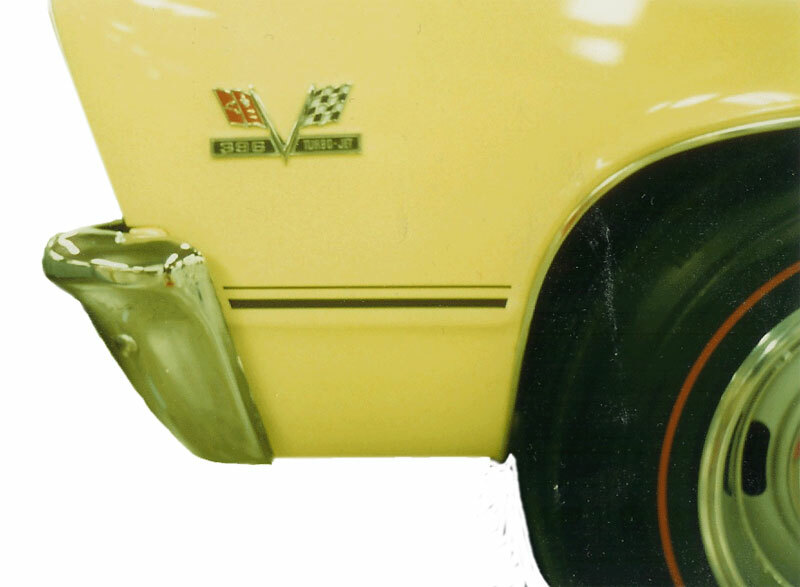 NOTE: GM created the wheel opening of the stripe as a separate unit to be joined to the upper section of the dual stripe that runs the length of the car.